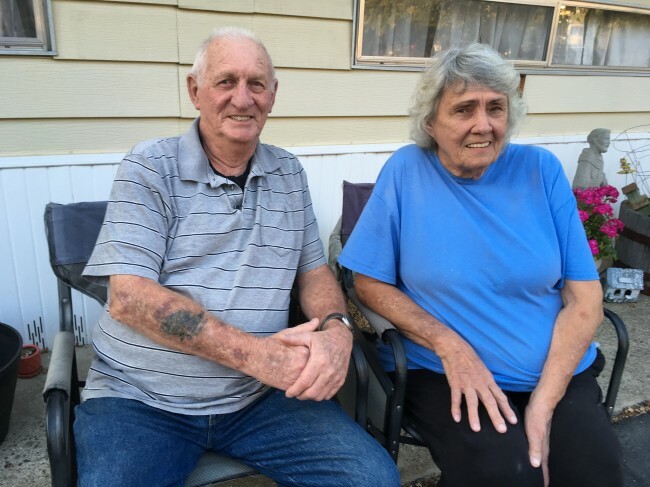 Angels Camp – November 15, 2018 – Long-time Angels Camp residents Joan and George Loomis, who have fostered 1,200 children in Calaveras County and volunteered countless community service hours, will be the Grand Marshals in the 28th annual Angels Camp Parade of Lights beginning at 5 p.m. November 24. Dwayne Garcia, president of the Angels Camp Business Association, which hosts the parade and the annual Downtown Angels Holiday Open House the Saturday after Thanksgiving, said he is delighted that Joan and George will be the Grand Marshals this year. “Joan and George Loomis are known for their commitment to the community and their pioneering efforts in becoming the county’s emergency foster home in 1983,” said Mr. Garcia who is vice president of the Bank of Stockton in Angels Camp. The couple were in their 40s when they began fostering children. Joan had worked for Pacific Bell, Bank of America and Mother Lode Bank, and George worked in construction including Hydrox, the former telephone construction company, and the county road department. Joan said they contacted the county because they wanted to repay the community for all it has done for them and to help children. County authorities responsible for children’s services said they needed someone to act as emergency foster parents, to watch over children until they were placed in a more permanent foster home or returned to their own homes when it was possible. Since the beginning, they have fostered children anywhere from 24 hours old to 16 years. During that period, they started a nonprofit agency called For Love of Children. A major donation made it possible for them to buy a six-bedroom home in Angels Camp where they lived for 15 years, where they started a group home for teenage girls called Environmental Alternatives. Joan and George, married for 58 years, have seven children of their own, three biological and four adopted siblings, 12 grandchildren and 14 great-grandchildren. Joan said they often hear from their former foster children, especially around the holidays. They remember Joan and George as critical loving anchors during a very stressful period of their young lives. They visit, call, send pictures and communicate via Facebook. The former foster children live throughout the U.S. and went on their various ways, Joan said. “Some were adopted, some went on their own and some went to prison,” she said. “We tried to help and it was up to them to take care of their problem with whatever support we could provide. We wanted to be there to help these kids through a difficult period. Most of Joan’s volunteering was at the Mark Twain Union Elementary School where she was a board member for 23 years. She said she loves children and works to improve their lives any way she can. The couple also has helped with the Bret Harte drama program, Academic Decathalon and the annual veterans’ presentation. Retired in 2003, Joan and George said their reward has been a wonderful life and many wonderful memories. Joan is also known for George and Joan’s Cookies, where she bakes and sells cookies at farmers’ markets and arts and crafts shows in the area.